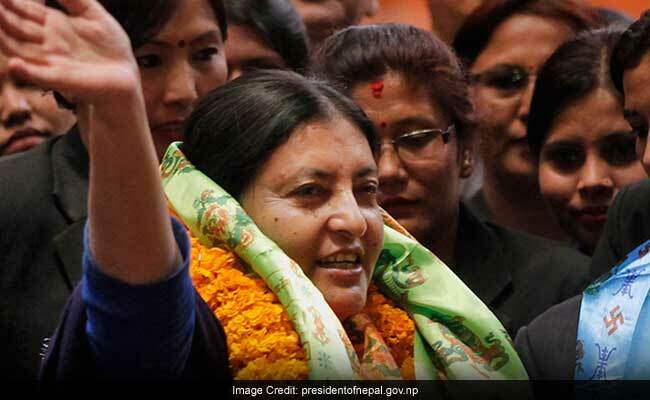 Bidya Devi Bhandari, the first woman president of the country, is seeking a second presidential term. She was elected as the second president of Nepal in October 2015. There are more than 800 votes in the electoral college. Kathmandu: President Bidya Devi Bhandari and Nepali Congress leader Kumari Laxmi Rai today filed nomination papers for the presidential election in Nepal. The presidential election will be held on March 13. Ms Bhandari, the first woman president of the country, is seeking a second presidential term. She was elected as the second president of Nepal in October 2015. This will be third presidential election in Nepal since the abolition of the monarchy in 2008. Since Ms Bhandari has the support of ruling parties CPN-UML and CPN-Maoist Centre as well as smaller parties, she is likely to get re-elected. The code of conduct, in view of the election of the President, has come into force from today with the registration of candidacies for the post. According to Election Commission Spokesperson Nawaraj Dhakal, the code of conduct shall be applicable for all government bodies and people.